Chelsey Havill, Chief Operating Officer, Publisher, Account Executive, Retail Manager, and overall “Boss Lady”- maintains relations with our customers and advertisers with expertise, friendliness, and grace. She’s an animal-lover, and loves bringing her dogs to work! 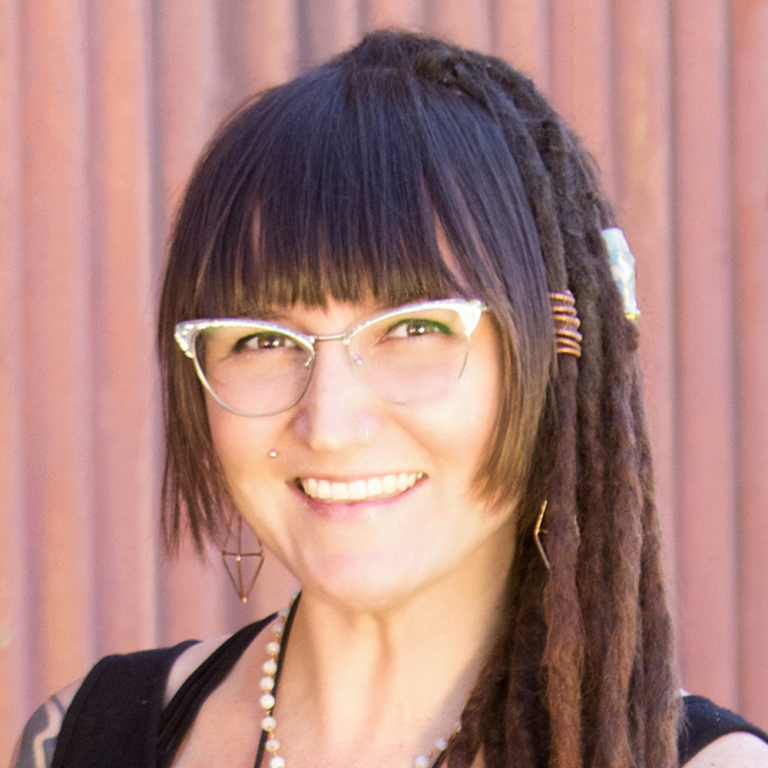 Chelsey has a deep-rooted passion for music, funky fashion, happy people, and living somewhere as perfect and unique as Nederland, CO.
Aside from owning The Business Connection and working “behind the scenes” Mike Havill is The Business Connection’s & The Mountain Pages’ Aesthetic Engineer. If you’ve eaten at a Nederland restaurant, bought local gifts, read The Mountain Pages or seen flyers for local shows – you’ve probably seen his work. Along with publication, web hosting, and design he is your go-to-guy for all things illustrated. If Mike isn’t at the shop he’s probably at a Dead or Phish show. Copyright 1992-2019 Beyond The Mountain Design Inc.